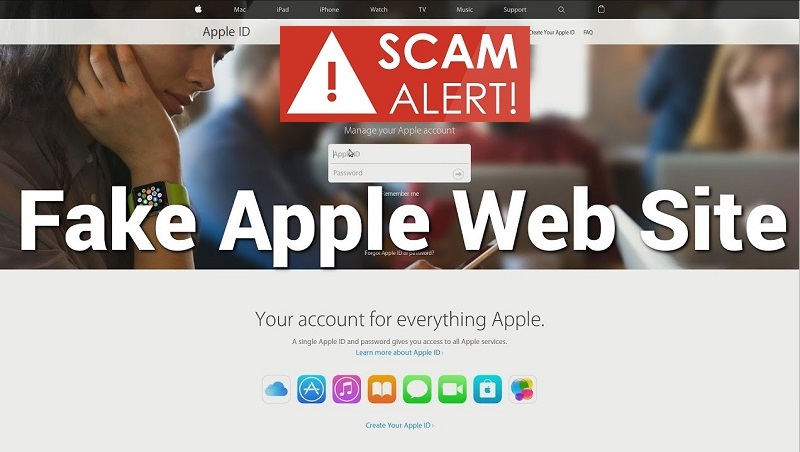 With all the cybercrime news involving IRS scams this time of year, there is something new out now to break up that “monotony.” A new scam that uses Airbnb to scam people out of their Facebook credentials has been spotted targeting users of Apple mobile devices. However, don’t think you’re safe and sound if you use the Android operating system. This one can very easily be adapted to take advantage of that system too... and this likely on the way. 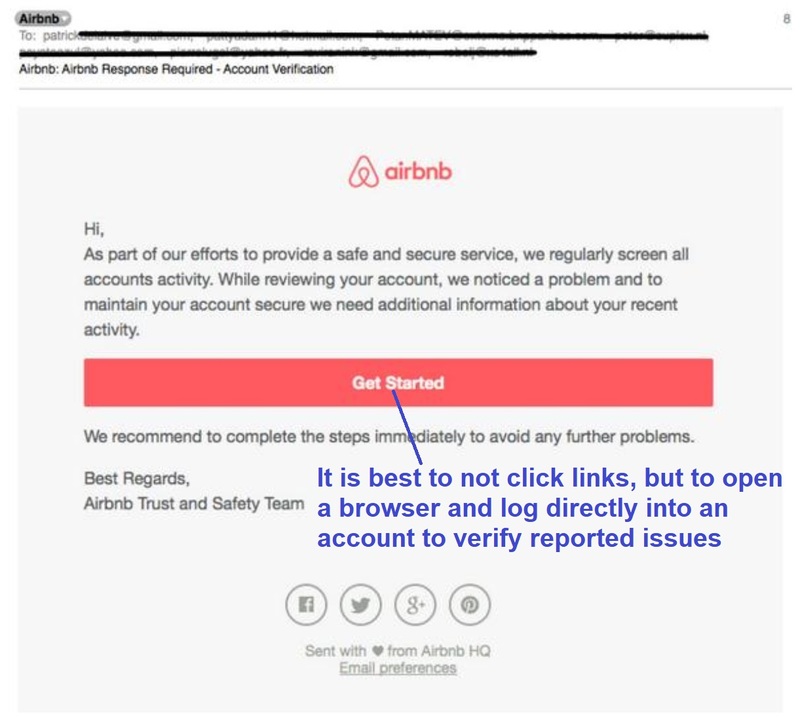 All it takes is being fooled by logging into the fake Airbnb site using your Facebook login credentials to give up those goods to criminals. It works like this: The user makes his or her way to what they think is the Airbnb website. Like many websites, there is an option to login with Facebook credentials. The user does just that and Bammo! The criminals have your Facebook credentials and therefore full access to your Facebook page. 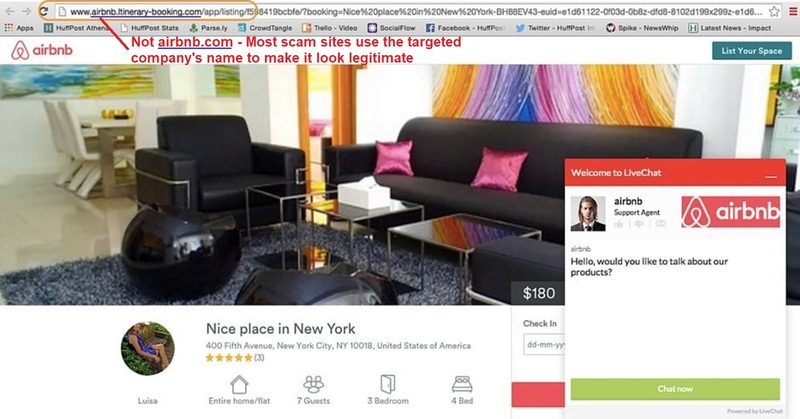 Let’s start with how one might end up on the fake Airbnb (or any other fake site) in the first place. It’s with…you guessed it…phishing. A link is sent around, typically en masse, in an email message that tricks people into clicking it with some big and fabulous offer they cannot refuse. The realistic looking, but fake, page comes up and then the link to login with Facebook is available. If that, also fake but realistic looking, button is clicked, the page to put in your user name and password appears. If the user does this, it’s all over. So, don’t click links all willy nilly that appear in your email messages. If you are not expecting them, if they are from unknown persons, seem a bit strange, or tickle the hair on the back of your neck, don’t click them. If you cannot be 100% sure it’s OK to click it, don’t. Alternatively, pick up the phone and call the sender and find out if it was intended to be sent. If you are suspicious at all, you’ll find out if your spidey sense was correct very quickly this way. In addition to just being phishing savvy, don’t use other logins to gain access to separate ones. If you have the option to use Facebook, Google, or anything else to login to a website other than Facebook, Google, or whatever, take that route. Yes, it is another set of credentials you have to remember, but think about the damage a criminal can do if they get access to your Facebook or Google account. It’s always advised that you have a unique, strong, password for each and every website you visit. And don’t forget to use multifactor authentication (MFA) any time it’s available to you on a website. This extra step can prevent a hacker from gaining access to your accounts just using your user name and password. They’d also need your random code from your key fob or the one-time use code that gets sent to your phone when you have MFA active. Facebook does offer several different MFA options. Take a look and choose one that works for you. While no link or attachment is ever truly 100% safe, you can eliminate a lot of the threats by using your noggin and not clicking if you cannot verify the security. Hacks have become a part of online life, especially for those who live large on social media. In its most recent attack, Facebook admitted that 14 million users had sensitive information stolen, including birth date and place, religion, geo-location, and recent search history. They also claimed an additional 15 million had just their names and contact information stolen. If that weren’t bad enough, the social media giant confirmed that user accounts are hacked 600,000 times a day during logins. That’s .06% of the more than 1 billion logins Facebook gets daily. Facebook has certainly had its share of hacks making the news, but this latest event leaves many users wondering if they should continue using it. Should users choose to keep their accounts active, the concern is how to keep as safe as possible going forward. There is no shortage of safety steps to take and it’s more important now than ever to get smart. Although Facebook claims to have acted quickly to secure user accounts, you can’t go wrong with first changing your password–even if you’re told your account wasn’t affected. Overall, the biggest hurdle to overcome is the amount of honesty users put into their profiles and posts. Remember, hackers don’t only use Facebook data against you. The details you provide and post anywhere online leave threads hackers can follow. From there, they build individual profiles that are packed with your data–including birth date and place, friend and family names, affiliations, and interests–and that’s just for starters. 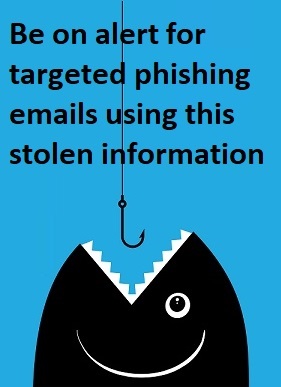 The more hackers know about you, the easier it is to manipulate you into opening phishing emails loaded with malware. They don’t hesitate to use social media information to target you with emails catering to your interests, otherwise called spear-phishing. Use a different password for every single site you visit, even if you think it may be unnecessary. It is necessary. Don’t use dictionary words or phrases. Try creating a base password of six characters and adding onto it using letters from the website domain name. Below are suggestions from cybersecurity experts that get to the heart of reducing the impact of the next hack. Lie to protect the truth. Other than using your real name, don’t be truthful about anything when building your profile–like date and place of birth, hometown, school, or even your pet’s name. Even with security questions, don’t use true answers. The sad truth is that social media hacks have proven time and again that facts don’t pay, and if anything, they can end up costing you big-time. Come as close to the truth as you like, but remember once it’s out there, it can easily wind up in the wrong hands and it can never be deleted from the web entirely. Don’t post it. Be careful not to post anything you wouldn’t want broadcast on the nightly news. If you have to wonder about whether or not to post something, don’t do it. Hackers constantly troll the Internet, and any post you may later regret can be used against you today–even if you eventually remove it. Hackers love ransomware and blackmail options that TMI (Too Much Information) provides. Suspect everything. That includes invites to a website from a “friend of a friend” and tempting links and attachments. It’s safe to assume that anything you don’t expect is in reality hacker bait–something that’s based on what hackers already know about your interests. Better safe today than sorry tomorrow. With all the controversy surrounding data privacy and Facebook allowing a UK-based firm, Cambridge Analytica to have information of 50 million users for use without permission, many Facebook users are opting to become former Facebook users. If you are one of them, keep in mind that logging off social media is not just a one-click and you’re done sort of task. There are a lot of tentacles wrapping themselves around your Facebook profile. Every time you post something on social media and it’s liked or shared by someone, that post is out of your control. If you download an app through Facebook or play games, you are agreeing to some extent to give up some of your data, and in this case your friends’ data too, to data collectors. If you use your Facebook account to log into some other app, you are creating a link. 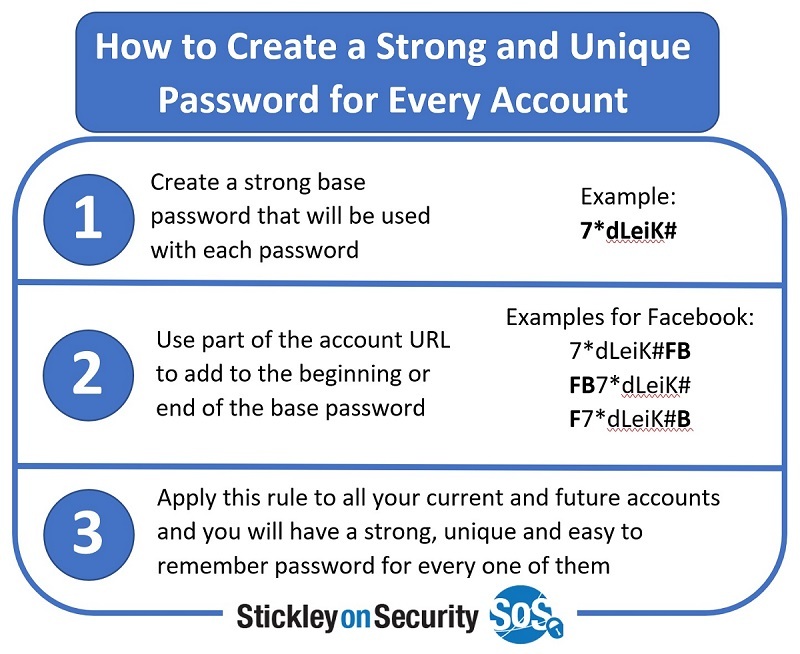 Consider all the other accounts you log into for which you use your Facebook login credentials. They could include Lyft, Spotify, and Tinder to name a few. If you delete your Facebook account, you lose that link and it may have frustrating consequences. 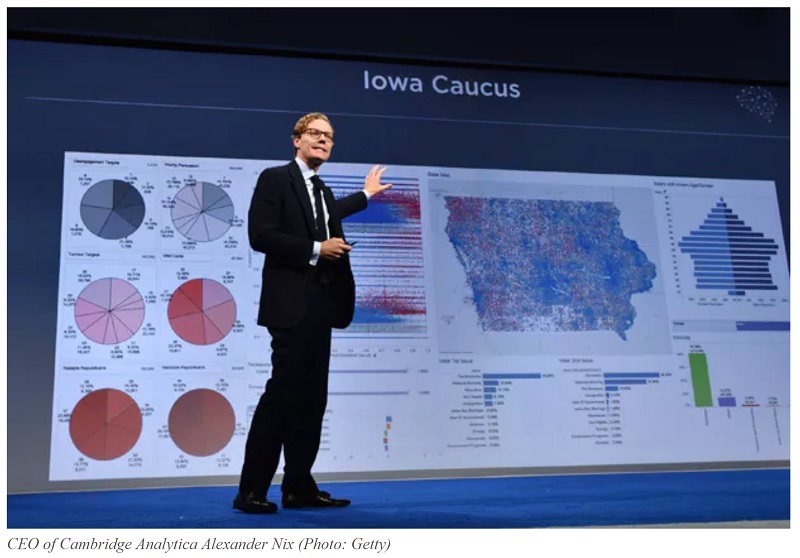 Facebook data has been mined many times by many organizations with the most prevelant occurrence during President Obama's 2012 reelection campaign. Facebook granted the Obama campaign access to mine data from users that willingly offered their data. The shady part of this practice is that Facebook also allowed the personal data of all the willing participant's friends and family to be mined without their knowledge. Cambridge Analytica is a very public and recent example of how Facebook works with companies to sell your data without your knowledge. Now, to be clear, it isn’t recommended to use any other account, Facebook, Google, or otherwise to log into any other online account. Each account should have separate login credentials and a completely unique, strong password. Just think about it. If someone gets unauthorized access to one of your linked accounts, they can very quickly and easily get into your Facebook or Google account. Considering how much information we put in those profiles, do you really want to make it that easy? Take a moment to consider if you want to completely delete the account, and everything associated with it (photos, recipes, etc. ), never to see it again. If not, there is an alternative. You can deactivate it. It’s temporary. So, if you’re in a fit of rage over the Cambridge Analytica thing and just want to quit right now, you can always deactivate it and come back to get photos and recipes later. But, you will still also temporarily deactivate your connected logins. Otherwise, save all your posts and photos. You can log into your account, go to your settings, then “general,” then “Download a copy of your Facebook data.” Make sure you grab birthdays that you no longer remember, but let Facebook remind you of each month. There is a “deleters remorse” option too. Facebook does let you recover your account for two weeks after deletion. After that period, consider it gone and you’ll have to sign up again if you want to go back. But you will not see the same data as you did before. It’s a brand-new account. And after that, you’re free. Right? Not exactly. Facebook also owns Instagram, WhatsApp, and a slew of other apps and products. Just a reminder that in this connected world, it’s very difficult to erase your digital footprint. It’s always wise to consider what information you want to provide when you go online. And remember that once you post something, you lose control of what happens to it afterward. Not just because it potentially may be acquired by another company, but because once someone else shares or comments on it, it’s off and worming its way through the Internet. That information should be considered permanently out there and available for all to see. Recently, ransomware called WannaCry was set loose to infect computers all over the world. At last count, it compromised organizations in over 150 countries and infected over 300,000 machines. Interestingly, the attack itself was not particularly sophisticated. In fact, it was spread through a simple email phishing campaign and exploited vulnerabilities in Microsoft Windows that had already been publicly disclosed with patches available. While WannaCry spread quickly, it was only active for a very short window of time thanks to a lucky break by a security researcher who found a kill switch for the virus. Unfortunately, a lot of damage had already been done prior to that. It took down networks of the U.K.’s healthcare system, gave a very large telecommunications company in Spain a lot of grief, and even took down the German train system for a bit. These are very consequential interruptions. And the significance of WannaCry was that it used a two-stage attack design allowing the payload to spread to critical servers via unsuspecting users’ desktop computers. You see, many of us think that we don’t really have anything significant or mission critical on our desktops, laptops, or mobile devices that a cybercriminal would care to find. Therefore, even if your system is compromised, it shouldn’t have any real impact on the organization itself. The IT guys can just reload it and no harm, no foul. What WannaCry showed was that just gaining access to a user’s non-critical computer was only the beginning. The goal was not to steal information from the user’s computer but instead use that computer as a launching point to attack the rest of the internal network, bypassing the corporate firewall and external intrusion prevention solutions. This malware started in a very simple manner. An email was sent out to employees with a URL included that the user clicked to get a file available in the file sharing, collection, and storage application, Dropbox. Once clicked, the ransomware was executed and wormed its way through the corporate network, looking for vulnerable servers that had not received the security patch. When a vulnerable server was discovered, the ransomware automatically installed and began locking the administrators out of critical files. A patch to fix this flaw had been released by Microsoft a full two months before WannaCry was released. However, oftentimes, critical servers are left unpatched because third party vendors require time to evaluate the patch before releasing it to clients for installation. This is common for critical servers, because vendors can’t risk having their software crash on these servers due to the installation of a new patch. So, they take time to test it before approving it to their customers. 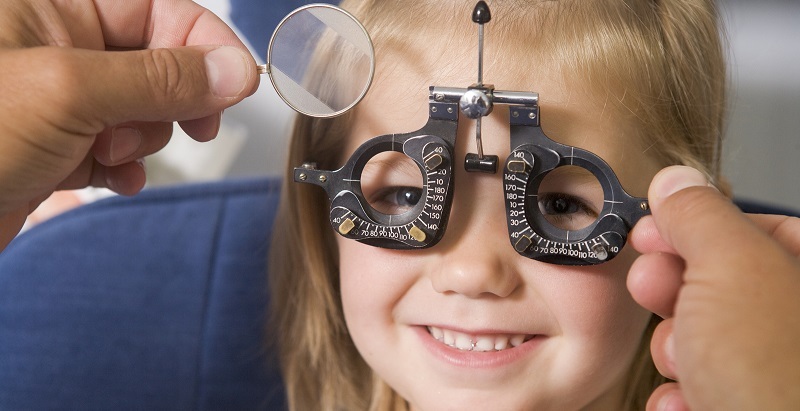 Unfortunately, this testing period often takes several months, if not longer. What is most important to note is that WannaCry became so prolific because one person was convinced to click a link. His or her system wasn’t necessarily critical, probably wasn’t targeted, and likely the hackers had no idea who that person was. That victim was simply part of a mass mailing list the criminals probably obtained through the dark web. 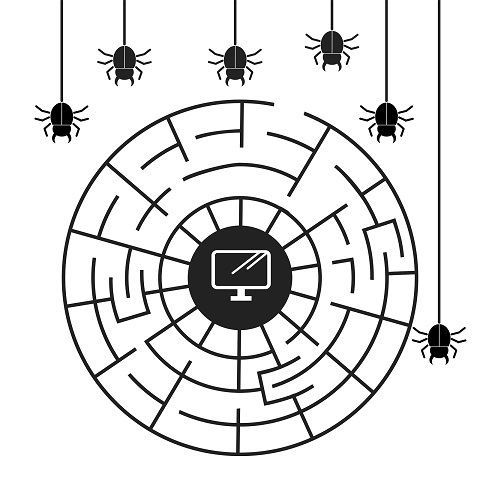 The victim was never the actual target; the desktop just became the launching point to attack the rest of the network, which ultimately led to critical systems being compromised. According to the Department of Homeland Security, up to 85% of targeted cyberattacks are completely preventable simply by putting into place some basic risk-mitigation measures. At the top of the list is to make sure that you are educated about threats like this one and the others that exist in the Internet world. There is no guarantee that any given link or attachment is safe, regardless of what type of file. In fact, over the years the types of files used to spread malware have evolved from being almost exclusively executable files to Word documents and Excel spreadsheets to PDFs, text files, and now even PowerPoint. Literally, anything may be used now and it isn’t limited to email. Social media is growing in popularity with cybercriminals as well. A 2014 study by German researchers found that people who receive messages via Facebook will click them 42.5% of the time, even when they don’t know the sender and are certain that what is included probably doesn’t pertain to them. They admitted to doing it because they were simply curious. And it doesn’t matter if it looks like your colleague, your friend, or even your parents sent the email or posted the message. 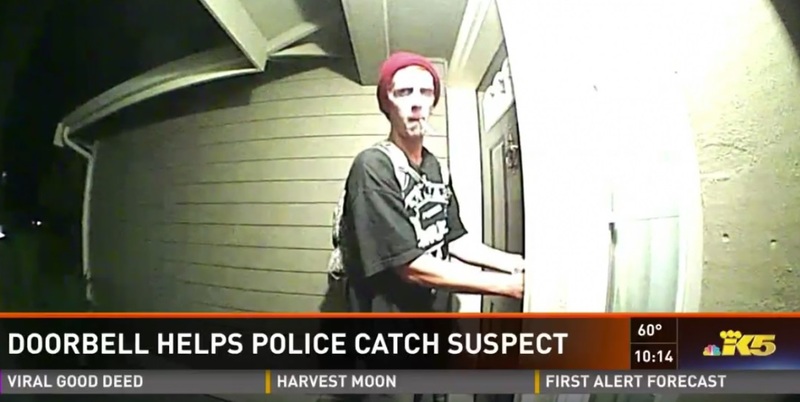 Cybercriminals are getting sneakier all the time. They can make a message look like came from anyone. If you’re not paying attention, you can fall victim too. WannaCry was a wakeup call to organizations all over the world. The average user on a network may only have limited access to personal or confidential information. In many cases, the desktop may be completely non-critical and contain nothing of value to a cybercriminal at all. WannaCry, however, shows us that those still could be extremely valuable targets. Any computer, no matter how insignificant can become a launching point to attack the rest of a corporate network and should be considered just as critical as any other primary server the organization owns. That’s why it is so important to take a bit of time to make sure that whatever you receive in email messages is 100%, without a doubt safe to click. If there is any doubt at all, call the sender on the phone, send a text, or walk over to his or her desk and verify. After all, you probably don’t want to be that one person that sets off worldwide panic like the first person to click that link and begin the spread of WannaCry around the world. It may be difficult to understand the Facebook Content Delivery Network (CDN) and it isn’t really important that you do. But this is the way some cybercriminals are distributing malware to a large amount of unsuspecting Facebook users. The CDN is how the social media site delivers video and photos to its users. In this case, the enterprising thieves are using these servers to deliver banking Trojans to your devices that can and will steal your credentials. The scam works like this: An email shows up in your inbox that appears to be from local authorities. 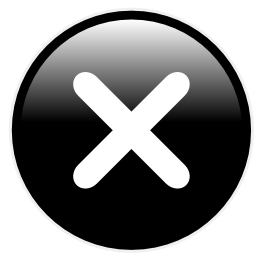 Included is a link that takes you to a particular CDN. On that CDN resides the malware that executes the banking Trojan. The concern here is not simply that by using these CDN servers the malware can be delivered to a large number of people quickly; it’s also a matter of trust. You see, it is largely believed among cybersecurity professionals, that the perpetrators of this scheme are the very same ones that used Dropbox and Google’s cloud storage in the same way not long ago. All of these companies are trusted within the user communities and if we cannot trust them, then who can we really trust? The answer eludes us. In fact, since they are trusted, cybersecurity solutions that are supposed to help protect us against attacks such as these recognize their domains as “safe” and won’t see malware on them as a threat. If the criminals used a custom domain to deliver this malware, these products would immediately discover them and block their deliveries. With large companies like these, it’s not so simple to just cut access off when something like this happens. This is why it’s really up to users to be wise when using the Internet. Keep in mind that public officials typically do not use platforms such as links in email or social media to deliver information to citizens. So if you receive a link or attachment purportedly from a government official or public servant, it should be questioned. Don’t take any quick action. Instead, try checking their public social media sites or referring to your local news publications, radio stations, and television stations directly to get the information that is supposedly contained in the links. It’s becoming more the opinion of cybersecurity experts that using even a complex password for online accounts is no longer adequate to protect our information. Passwords continue to be reused across multiple sites and getting a text message with a one-time code isn't always an option. 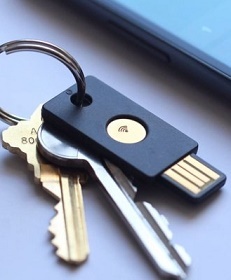 Google wanted to find out the best multi-factor authentication (MFA) method that covered these weaknesses and in a two year study of over 50,000 of its own employees found that using a tiny security key in addition to a password was the best option for this. 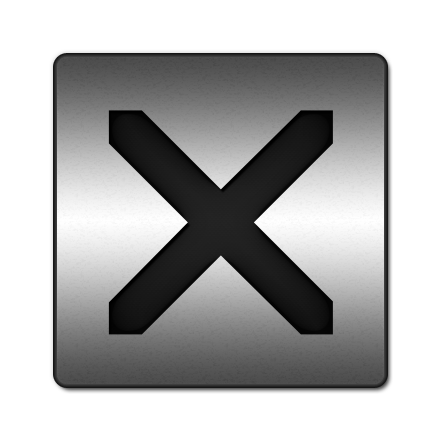 A U2F key (universal second factor) is a small device, about the size of a normal house key that is inserted into your computer’s USB slot. It provides a “cryptographic assertion” that is very difficult, if not impossible to crack or phish when it’s active. It’s better than text codes for various reasons, but one is because sometimes a text sent to a smartphone just isn’t an option. For example, if you travel you may not have access to receive text messages; your battery may be dead; or something else may prevent you from receiving a text code. In addition, even these one-time codes can be phished or intercepted by cyberthieves. Smartcards are another MFA solution, but they require some additional hardware or a dedicated computer to work. That eliminates it for our “on-the-go” society as a reasonable solution. 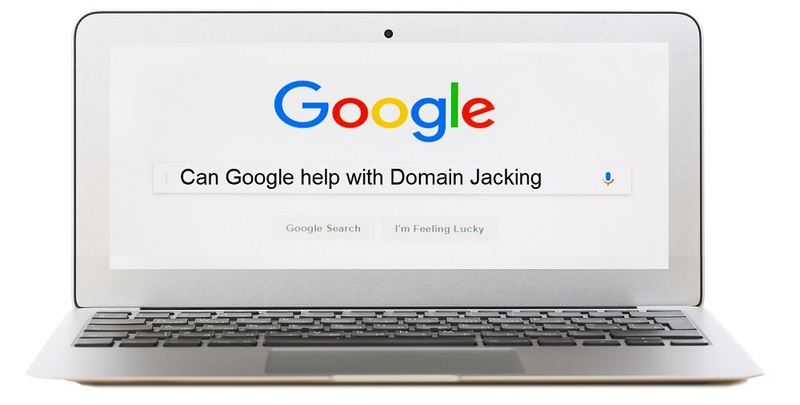 Google found the keys to be the best solution because they are easy for the end users to use, the technology is easy for developers to integrate into websites and hardware, and they are really small and lightweight. They fit on a keychain or in your wallet. For $15-50, anyone can get one of these U2F keys. It just depends on what sites you use with them as to which works for you. Several manufacturers make them and more and more sites are supporting them all the time. Google, Dropbox, Salesforce, LastPass, and recently announced, Facebook all support it. Facebook is an important one. How many times do you create an account that allows you to log in using your Facebook account? Although, using that account to log into other sites is not normally recommended, if you have the security key as well, it’s much more secure if you do. Chrome and Opera browsers have supported the U2F technology for a while and Firefox has been since the end of 2016. While there are keys available that do support near field communication (NFC) technology such as RFID, most mobile sites are not yet supporting U2F. This is soon to come, however. Another bonus of using a security key to log into sites such as Facebook? If you don’t get the request to insert your key, it’s easier to see that it might be a phishing attack. That’s a good argument for these little devices. After all, phishing is still the most common way that credentials get stolen or malware lands on devices. Are you ready for another article preaching about the risks associated with emails? Well, I will make you a deal with you. I will only talk about the stuff you probably already know for just one second and then I’ll spend the rest of the time talking about some crazy new ways on how criminals are having success with malicious links in emails. I know, I know, phishing scams are old news and only your grandparents and Millennials are still falling victim, but you have to remember, criminals are not known for giving up. And just when you think you have it all figured out, they change the game. Is Your Older Smartphone OS A Malware Target? Smartphone Security Updates: Some Phones Better Than Others? iPhone Users Beware: Fake “Lockout” Hack on the Move – Again! Who Knows Where That USB Stick Has Been? 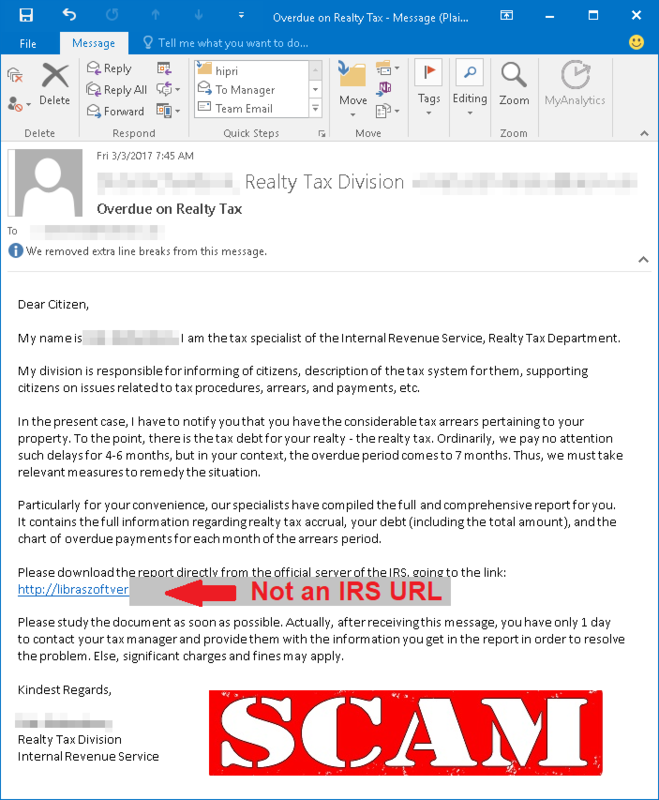 TrickBot the #1 Threat to Business…Just in Time for Tax Season! 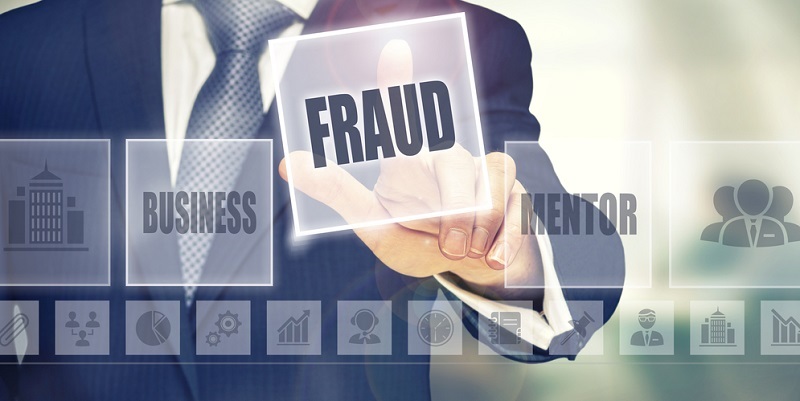 We collect personally identifiable information from Users who provide it to us for billing purposes. For example, We collect Your name, street address, city, state, zip code, telephone number, email address, and financial information, such as a credit card number, if You use the Site to register or renew a license. We may use this information to contact You regarding the status of Your account and orders placed, and to alert You to new information, products and services, events and other opportunities. We recognize that You may wish to limit the ways in which You are contacted and provide You with opt-out options below. Information about Our experiences and transactions with you, such as your payment history, types of services and/or products you purchased are not shared with organizations outside of Stickley on Security. We will not disclose to third parties (that is, people and companies that are not affiliated with Us) individually identifying information, such as names, postal and e-mail addresses, telephone numbers, and other personal information, except to the extent that it is necessary to process and provide You with Your order, license request or other request. Your contact information may also be provided to the extent necessary to comply with applicable laws or legal processes (e.g., subpoenas), or to meet contractual obligations outlined in this policy, or to protect Our rights or property. We will cooperate with all law enforcement authorities. For each visitor to this Site, Our server can detect and collect certain information, including the User's domain name and e-mail address, and can identify the Web pages the User visited or accessed. We may use this information in order to measure interest in and use of the various areas of the site. We do not knowingly solicit information from children and We do not knowingly market the Site or its services to children. You may at any time opt out of having Your personal information used by Us to send You promotional correspondence by contacting Us via e-mail provided in the "Contact Us" section below. "Promotion codes" are offered by third-party affiliates of the Stickley on Security Training Videos. If you choose to include a "Promotion Code" when placing your order, the affiliate who is associated with that promotional code will receive your organizations name. They will NOT however receive any other information related to your account. The sharing of the organization name only applies when a "Promotion Code" is included during the order process. user interface customization cookies such as time zone and shopping cart status info, for the duration of a session (or slightly longer). Google Analytics cookies to generate statistical data on how the visitor uses the website. Where strictly necessary. These cookies and other technologies are essential in order to enable the Services to provide the feature you have requested, such as remembering you have logged in. For functionality. These cookies and similar technologies remember choices you make such as time zone and shopping cart info. We use these cookies to provide you with an experience more appropriate with your selections and to make your use of the Services more tailored. For performance and analytics. These cookies and similar technologies collect information on how users interact with the Services and enable us to improve how the Services operate. For example, we use Google Analytics cookies to help us understand how visitors arrive at and browse our products, services and website to identify areas for improvement such as navigation, user experience, and marketing campaigns. Social media cookies. These cookies are used when you share information using a social media sharing button or .like. button on our websites or you link your account or engage with our content on or through a social media site. The social network will record that you have done this. This information may be linked to targeting/advertising activities. We maintain physical, electronic and procedural safeguards to prevent the unauthorized release of or access to Your personal information. When We transfer and receive certain types of sensitive information such as financial information, We redirect visitors to a secure server. We do not store or reuse Your credit card information. We do not record or manager financial information about You (including credit card and other payment information). However, such precautions do not guarantee that this Site is invulnerable to all security breaks. We make no warranty, guarantee, or representation that the use of this Site is protected from viruses, security threats, or other vulnerabilities and that Your information will always be secure. We cannot guarantee the confidentiality of any communication or material transmitted to/from Us via the Site or e-mail. Use of the Internet is solely at Your own risk and is subject to all applicable local, state, federal, and international laws and regulations. SoS Daily News is owned and opperated by Stickley on Security Inc.
Visit http://www.stickleyonsecurity.com for complete information about Stickley on Security Inc.
Keep up with the latest cyber security news through our weekly Fraud News & Alerts updates. Each week you will receive an email containing the latest cyber security news, tips and breach notifications. Simply complete the form below and you're all set. You will receive your first official security update email within the next week. A welcome email has also just been sent to you. If you do not receive this email within the next few minutes, please check your Junk box or spam filter to confirm our emails are not being blocked. Enter any word or words you like.